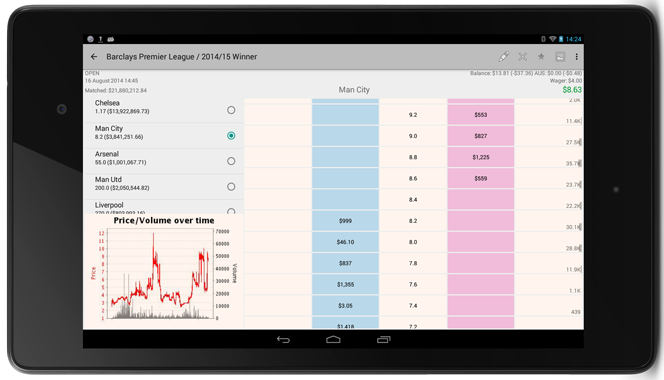 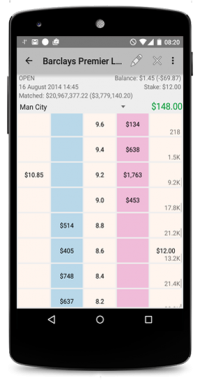 BetOnDroid is an application for betting and trading at Betfair Sports Exchange. All benefits of the Betfair web site, now on your Android mobile device. 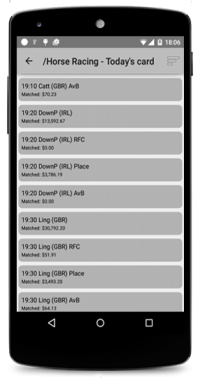 Explore full power of the ladder interface – best interface for Betfair trading and betting. 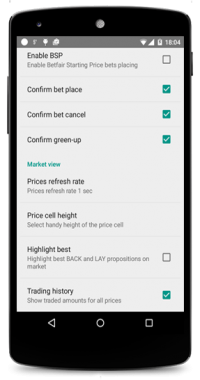 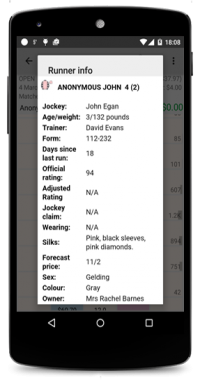 Take advantage of fastest Android Betfair client – try BetOnDroid. 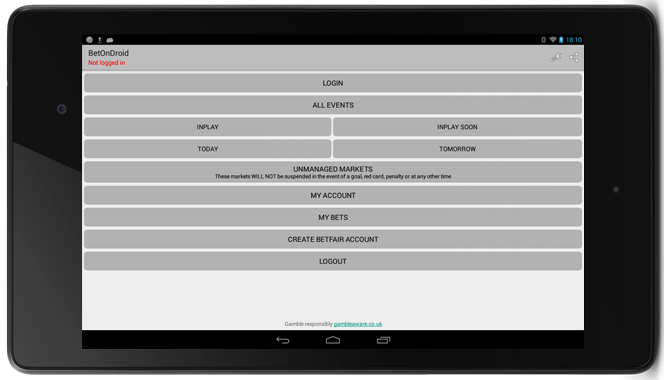 Fully secure, fast and intuitive app available for free.